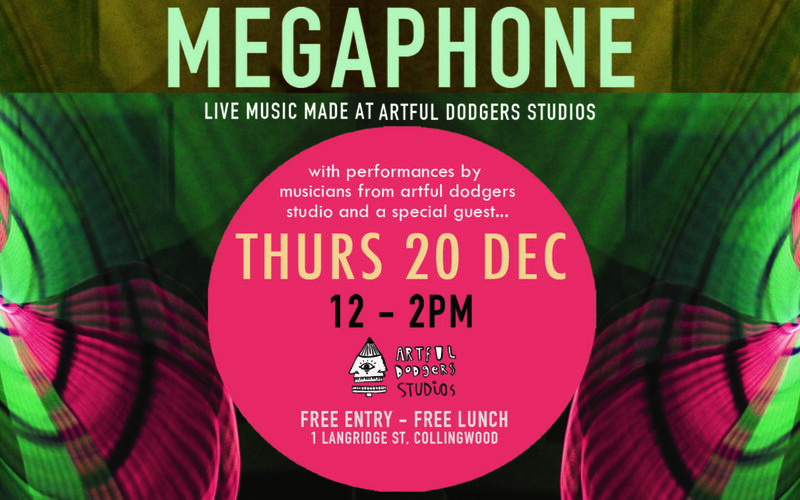 Join us for the final Megaphone for the year! Great music, delisious food and great vibes…. 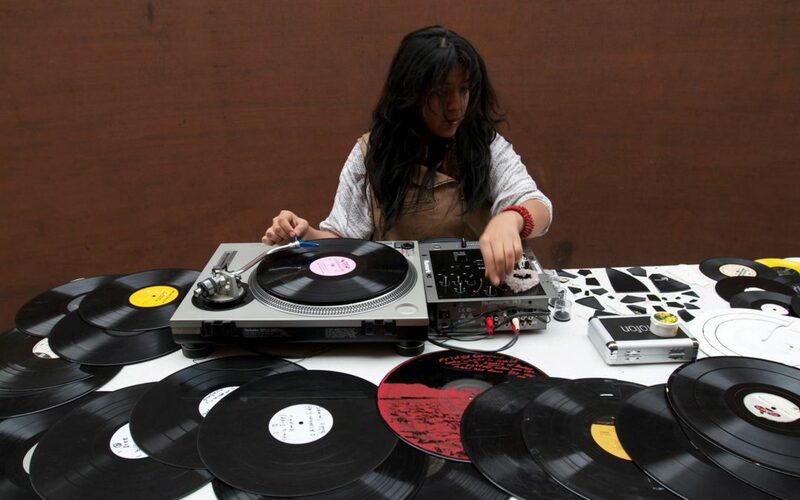 Maria Chavez (Peru/NYC) is best known as an abstract turntablist, conceptual sound artist and DJ. Her improvised solo turntable performance combines recorded sounds from vinyl records with the electroacoustic sounds of vinyl and needle in various deteriorating phases. This raw approach merges the practice of improvisation with the inherent unstable conditions of a turntable, allowing accidents to dictate each sound piece. She has taught newcomers to the art form the world over. Sound School is a community project upskilling and celebrating creatives making electronic music on the margins. This event is made possible with the collaboration of Liquid Architecture and the support of the Australia Council for the Arts. Artful Dodgers Studios is a wheelchair accessible venue. Please contact us if you have any questions about accessibility.